The Harrisburg campus of Penn State University offers both graduate programs and undergraduate transfer programs in a variety of liberal arts and sciences. This school is less than 10 miles from the chocolate lovers paradise of Hershey Park, which offers an interactive history of Hershey's candy. What is a typical Pennsylvania State University-Penn State Harrisburg student like? Describe the type of person that should attend Pennsylvania State University-Penn State Harrisburg. What are the top 3 reasons someone should attend Pennsylvania State University-Penn State Harrisburg? What was a typical Pennsylvania State University-Penn State Harrisburg student like in high school? Describe the type of person that should attend Pennsylvania State University-Penn State Harrisburg. Penn State Harrisburg is an undergraduate college and graduate school of The Pennsylvania State University, one of the largest and most widely recognized institutions in the nation. Located eight miles east of Harrisburg in Middletown, Pa., the campus enrolls more than 4,200 students and offers more than 60 associate, bachelor's, master's, and doctoral degree programs. The college also offers the first two years of study leading to more than 160 baccalaureate majors offered throughout the University. Penn State Harrisburg brings nationally accredited academic programs, award-winning faculty, and the resources of a world-class research university to Pennsylvania's Capital Region. The campus is easily accessible via major interstate routes and the Pennsylvania Turnpike's Exit 247. Harrisburg International Airport is within one mile of the campus, public transportation serves the college, and rail service affords convenient access from locations throughout the nation. At the transfer level, Penn State Harrisburg serves students from all campuses of The Pennsylvania State University and students from community colleges and other accredited colleges and universities. Students of The Pennsylvania State University are encouraged to choose the Penn State Harrisburg Common Year Major as their curriculum prior to transferring to Penn State Harrisburg. View the Campus Fact Sheet here (PDF). Penn State Harrisburg has an extensive selection of graduate programs. Applications are welcomed from students who have completed a baccalaureate degree from a regionally accredited college or university or from international students. The graduate programs are designed for the part-time student who can participate in an evening program. In the past several years, major construction projects on campus have been undertaken to accommodate new and existing programs. Beginning with the expansion of the Science and Technology Building to complement study in Environmental Engineering and Environmental Pollution Control, the college has added a state-of-the-art, 115,000-square-foot library, new apartment-style housing for 330 students, an expanded food court and Town Square for student activities, and an indoor aquatics center. Penn State Harrisburg also operates the Eastgate Center in downtown Harrisburg. What are the top 3 things that students do for fun at Pennsylvania State University-Penn State Harrisburg? 12% of students live on-campus. The average student pays $19,394 for tuition, fees, and other expenses, after grants and scholarships. Total stated tuition is $13,338, in-state and on-campus, before financial aid. The typical (median) early career salary of Pennsylvania State University-Penn State Harrisburg graduates is $49,400, according to Payscale. Pennsylvania State University-Penn State Harrisburg participates in the NCAA Division III for college athletics. 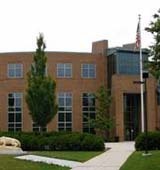 Want more info about Pennsylvania State University-Penn State Harrisburg? Get free advice from education experts and Noodle community members.